It will be great decision for an international student who choose to study veterinary medicine in Belarus. 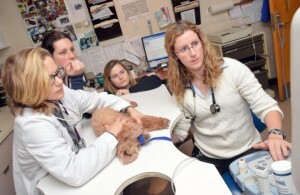 WHAT IS VETERINARY MEDICINE COURSE? Just like humans in the world animals also need much care for their health and safety and those doctors who treat animals are called DVM (Doctor of veterinary Medicine) and these graduates are expert in animal sciences. Actually the animals also have the same organism and same diseases like humans and they need to be treated in case of any health issue with the.They require surgeries,Medication and same care as for humans. 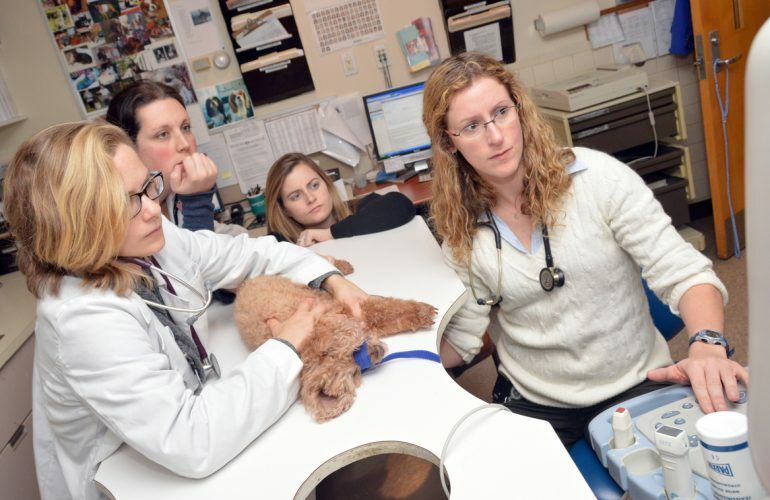 This degree is highly popular all over the world and these veterinary medicine graduates are highly required all over the world. These are highly paid graduates especially in Europe,America and Canada. Belarus is an ideal destination for the international students who are looking for their veterinary medicine course in Europe. Belarus has specific universities on national level for animal science courses with highly skilled teaching staff as veterinary medicine course is as important as general medicine program. Veterinary medicine students are provided best facilities for their practicals with modern medical equipment and these are the reasons that veterinary science degree from Belarus is accepted worldwide. Veterinary sciences course has 3 levels of degrees in Belarus. Bachelor course in veterinary medicine consists of 4 years and is taught at certain national universities. Master course in veterinary medicine consists of 2 years and only bachelor degree holders are admitted for masters program in animal sciences. Ph.D in Belarus consists of 3-4 years after Masters program in veterinary medicine. There are many branches for this veterinary medicine course in Belarus and international students may specialize in any field of animal sciences. All foreign students for the first year study at foundation faculty and for Russian language with science subjects and upon completion of this foundation program these international students join their degree program in the field of veterinary medicine. According to admission process international students scan their secondary school certificate copy with passport copy in the Email of admission staff for the admission assessment. Master course applicants scan their bachelor degree too for the assessment. Once admission staff receive the required documents for admission,They assess the documents and it takes 1-2 days and applicants are informed for their admission eligibility. Eligible applicants are required to send their admission fee and their documents are forwarded to the federal migration department for the processing of official study invitation. This issuance process is completed within 2 weeks and the invitation approved by federal migration department is sent to the applicants for their visa process. Belarus study visa is the easiest among all European countries.Mostly national depart with the help of official study invitation and OK TO BOARD letter for departure from the country airport. Belarus Embassies are situated in very few countries and their nationals obtain the student visa from the Embassy of Belarus before departure and scan the visa and ticket copy to admission staff.These some countries with Belarus Embassy existence are India,Pakistan,Egypt and Nigeria. Those all international students who want to study veterinary medicine course in Belarus may contact us freely anytime for their 2019-2020 admission process.